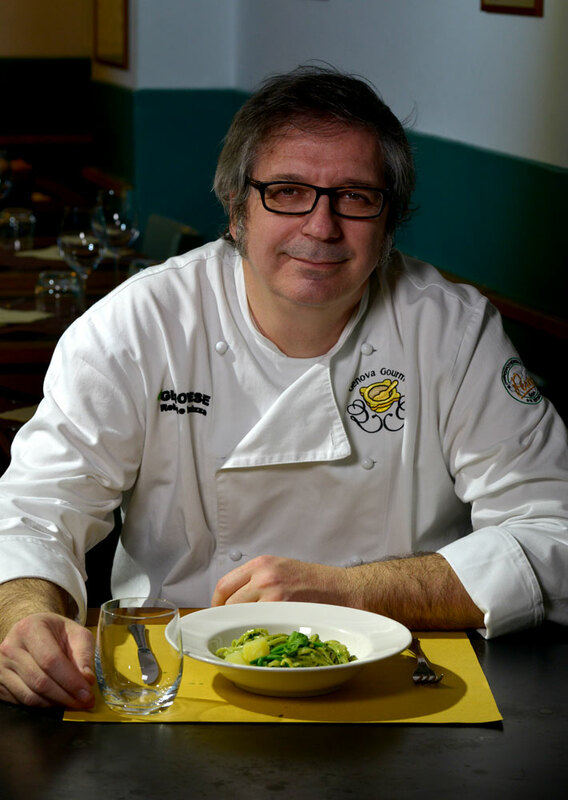 26 Modern Recipes from Pastificio Artigianale Alta Valle Scrivia- A Journey through our 26 shapes through Ligurian Traditions and Modern Recipes, with Roberto Panizza “The King of Pesto” from restaurant “il Genovese” in Genoa. 60-80 ml Extra virgin Olive Oil (ideally ‘Riviera Ligure’ DOP for its sweet, fruity taste that hightens the flavour of the Basil. In a pestle and mortar: grind the rock salt, pine nuts, and garlic to form a smooth paste, add the basil a bit at a time, slackening with the oil, until you have a creamy paste, add the cheeses and check the seasoning. Adjust the consistency with the oil and transfer to a wide serving dish. If using a food processor follow the instructions above, but remove the pesto into the bowl before stirring in the grated cheeses. Bring a large pan of salted water to the boil. Add the potato slices. After the potatoes have been boiling for five minutes add the TRENETTE Pasta and the green beans cut into matchstick lengths. Stir and cook until the pasta is ‘al dente’. Drain, keeping back some of the cooking liquid. 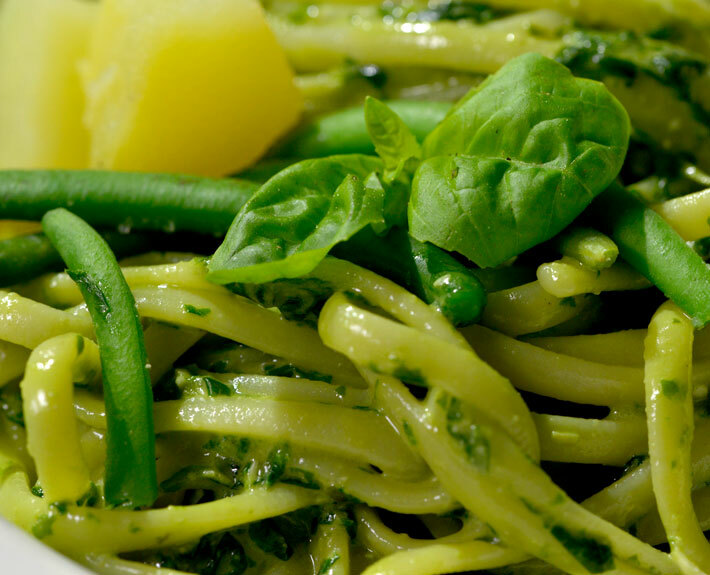 Slacken the pesto with some of the cooking liquid and add the cooked pasta and vegetables. Stir to coat and serve. A Production by NGAME and iBANANA, genoese music Giuseppe Marzari “Lontan da-i euggi” kindly lent by DEVEGA available on Amazon and iTunes.